It is time you learned from the experts. The limits on the news media in gathering the news are splashed across the headlines. The use of hidden cameras, unauthorized taping, access to governmental proceedings and records, and subpoenas to reporters for their sources are the real business of those practicing in the area. There is no better time than now to negotiate newsgathering issues with the experts. 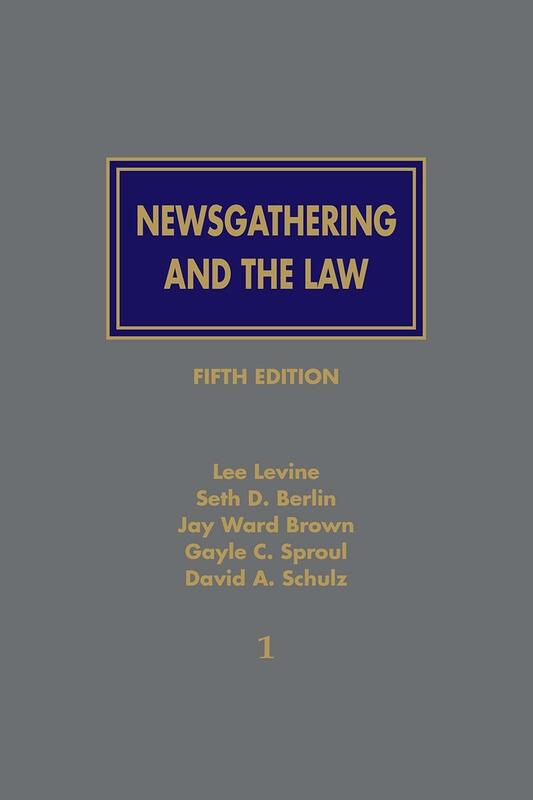 In Newsgathering and the Law, Fifth Edition, Lee Levine, Seth D. Berlin, Jay Ward Brown, Gayle C. Sproul and David A. Schulz, each with more than 25 years’ experience in First Amendment and media law, share their combined life’s work with you. 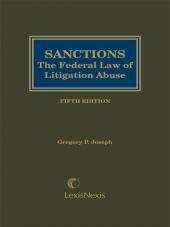 The Fifth Edition includes new chapters on Military Proceedings/National Security and Access to Jury Information, as well as newly-added discussions of a host of other legal developments since the Fourth Edition was published. These hundreds of pages of additional analysis make the new edition a must read for scholars and practitioners alike.  Lee Levine is Senior Counsel at Ballard Spahr LLP. For 25 years, he served as an Adjunct Professor of Law at the Georgetown University Law Center, where he taught media law. Mr. Levine is a co-author of the casebook Media and the Law and, together with Professor Stephen Wermiel, co-authored The Progeny: Justice William J. Brennan's Fight to Preserve the Legacy of New York Times v. Sullivan, published by the American Bar Association Press to commemorate the 50th anniversary of that landmark decision. In the United States Supreme Court, Mr. Levine has argued Harte-Hanks Communications, Inc. v. Connaughton and Bartnicki v. Vopperon behalf of the media defendants in those cases. He has also litigated in the courts of more than 20 states and the District of Columbia and has appeared in most federal courts of appeal and in the highest courts of a dozen states. Seth D. Berlin is a partner at Ballard Spahr LLP and an Adjunct Professor at the Georgetown University Law Center, where he teaches First Amendment and Media Law. For over 25 years, he has represented media clients in First Amendment, defamation, privacy, access, and reporter's privilege matters. Mr. Berlin is the founder of the American Bar Association's Forum on Communications Law Media Advocacy Workshop, an annual training program for media lawyers, and has taught media law at the Philip Merrill College of Journalism of the University of Maryland. He has testified before the United States Senate Judiciary Committee on Cameras in the Courtroom. He earned his J.D. 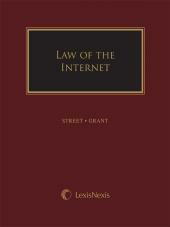 from Harvard Law School. Jay Ward Brown is a partner at Ballard Spahr LLP, where he is a member of the Media & Entertainment Practice Group. Having first worked as a journalist, he has spent more than 25 years defending news and entertainment clients against claims arising from their newsgathering activities and the content they distribute. He has taught media law as an adjunct faculty member at the University of Maryland and Trinity College, and he has served in leadership roles in the ABA's Forum on Communications Law and at the Media Law Resource Center. He earned his M.S. in Journalism from Columbia University and his J.D. from New York University. Gayle C. Sproul is a Senior Vice President, Associate General Counsel at CBS Broadcasting Inc., where she is responsible for reviewing content for CBS News. Ms. Sproul was previously, and for many years, a partner at Levine Sullivan Koch & Schulz, LLP, where she handled a range of press matters, including defense of subpoenas, access issues, prepublication review and defamation and privacy claims and lawsuits. She was a founder of the Pennsylvania Freedom of Information Coalition and the Pennsylvania Women's Forum. 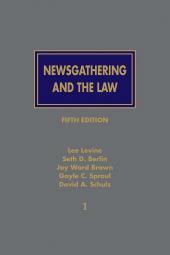 David A. Schulz has been defending the rights of newsgatherers for 40 years. He is Senior Counsel at Ballard Spahr LLP, a Clinical Lecturer and Senior Research Scholar at Yale Law School, and co-Director of the Media Freedom & Information Access Clinic, part of the Abrams Institute for Freedom of Expression at Yale providing pro bono legal services to newsgatherers. He previously has served as an Adjunct Professor at Columbia Law School and at Fordham Law School and has served as chair of the Media Law Committees of both.